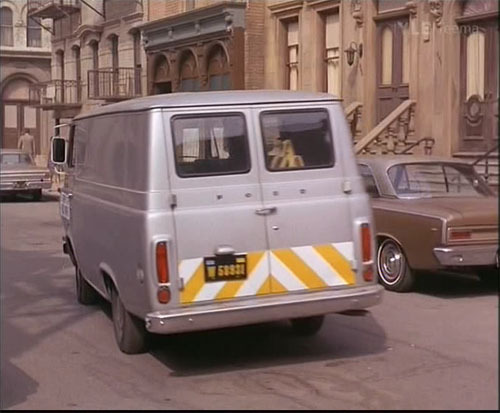 IMCDb.org: 1965 Ford Econoline Super Van in "Mission Impossible Versus the Mob, 1968"
1968 because of the tailights and the movie's release year. Has to be a 65-67 Econoline Supervan (the longer Supervan used the long narrow rear lights as opposed to the round lights on a normal "short" van). 68 went to newer body style. 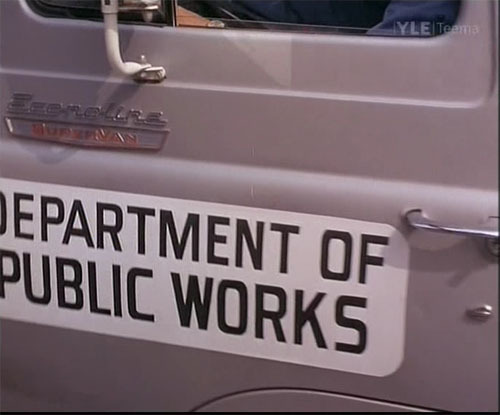 I own a 65 Supervan that looks identical in the rear to the one pictured!